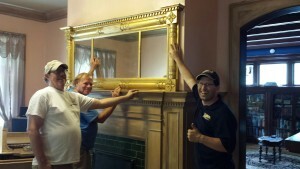 Stuart Koehler, Richard Bennett, Joe Colossa installing original Ringling gilded mirror. 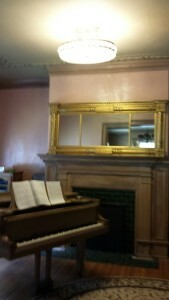 Original Ringling Furniture in Music Room. We received a very special gift today. 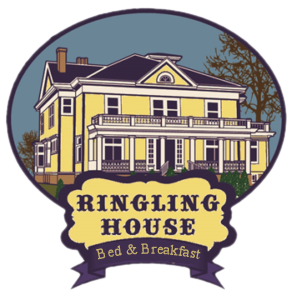 The gilded mirror that originally went over the fireplace mantle in the music room at the Ringling House Bed & Breakfast, had been on display at the Al Ringling Mansion here in Baraboo, WI. Joe Colossa has generously loaned the mirror to us from the Ringling family collection so it could be displayed again in its original home. 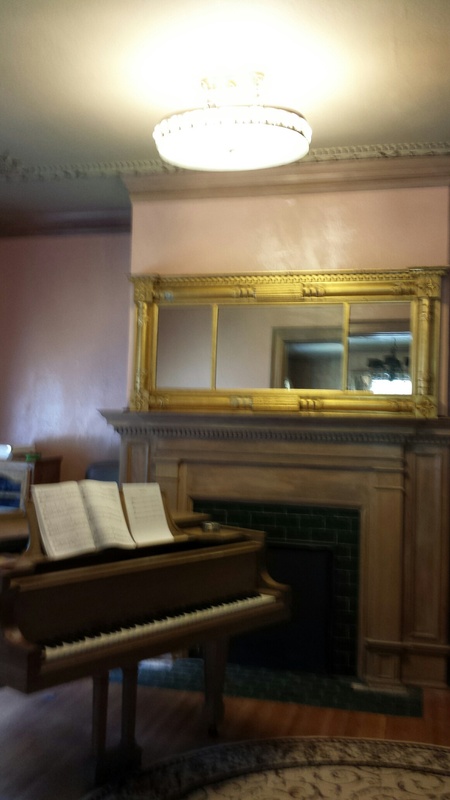 To confirm our thoughts that this mirror belongs here, were the holes in the fireplace mantle for the dowel fittings in the mirror – a perfect fit! 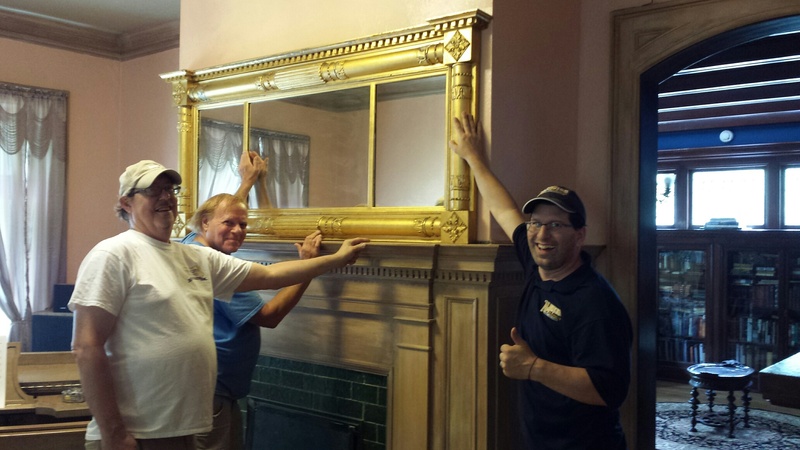 Shown from left to right are the guys working to get it up above the mantle, Stuart Koehler, Richard Bennett, and Joe Colossa. Doesn’t it look great in front of the Ringlings Steinway Grand, on loan from the Ringling family collection? Thank you so much Joe and Rich!